There are several factors to consider when setting your budget, such as the complexity of the project, kind of materials to use, and labor. Prices also change considerably in some areas over as little as a few years. You can check recent projects to get an idea of how much it may cost you. Make sure to consider the amount you’re comfortable spending to prevent problems throughout the process. 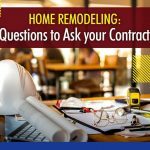 If you don’t have the means to achieve your remodeling goals, be upfront with your contractor so they can help you stretch your budget. For instance, we can suggest cost-effective options, such as opting for asphalt shingles instead of cedar shakes for your roof. As your trusted home improvement expert, we’re always ready to listen to all your concerns and come up with the best solution. Make sure to determine what specific materials you want before asking for quotes. By stating these details, you ensure that your potential contractors are pricing the same products. When choosing a contractor to rely on, you may ask to see the previous work and get a list of their referrals. Take the winning contractor’s offer and add a 20% contingency for unexpected issues and changes that may happen. If the overall costs are still within your budget, you can proceed with your project. Otherwise, reconsider your plans. Look no further than Integrity Home Services for your home improvement needs. 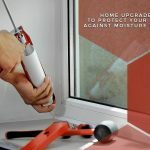 Whether you’re in need of new windows or gutters, we ensure to give you the best value for your money. Call us today at (203) 403-2111 and let us help you brainstorm your project. We serve Milford and nearby areas in CT.